Dr. McCloskey is a Board-Certified Dermatologist. She had acne when she was younger, which lends her a unique perspective on her patients’ skin conditions. Having been a patient herself, she truly puts her heart and soul into the treatment she provides. 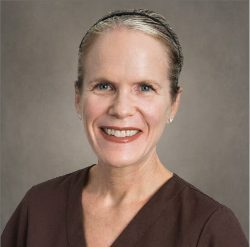 She also takes great pride in the fact that she completed her dermatology residency at the world-renowned Mayo Clinic. Her advice to anyone who might be nervous about a procedure is that she will do her best to make them as comfortable as possible while answering any and all questions honestly and directly. Because of dermatology’s complexity, it is absolutely crucial that patients seek skin treatments from board-certified dermatologists. They are the only true experts in medical, surgical and cosmetic dermatology. Dr. McClosky combines warmth with efficiency and reassurance in one's checkup. Excellent! Explains everything well and does not advise unnecessary procedures like similar providers. Very simple, clear information. Wait was appropriate, staff was very nice! I ALWAYS have the best experience when I go to this office, everyone there is great and make me feel comfortable. And I can't say enough good things about my Doctor she is the best of the best, love her. Dr. McCloskey is so friendly and professional. The entire staff is welcoming. She takes her time and doesn't rush your appointment. Highly recommend Dr. McCloskey. I see Dr McCloskey annually. She is very professional and thorough. I am confident in the excellent care I receive from her and her friendly and professional staff!